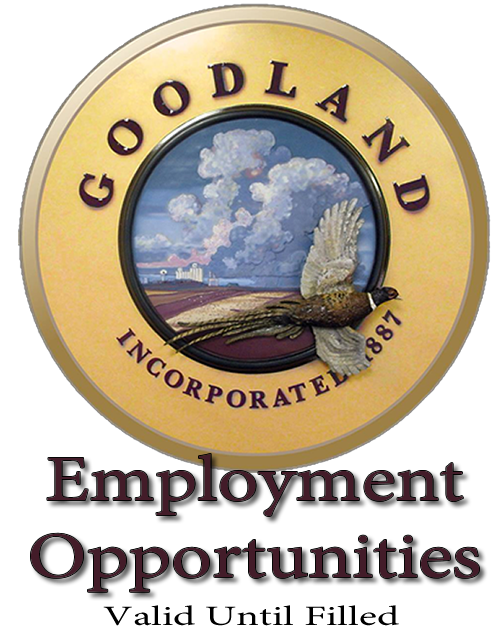 The City of Goodland is accepting applications for a Part-Time Custodian. This position is responsible for the maintenance and cleaning of City buildings, such as the City Office, Airport Terminal, Police Department, Welcome Center and other areas as assigned. This non-exempt position offers flexible scheduling and up to 16 hours of work per week. Must possess a high school degree or its equivalent and a valid KS Driver’s License. The starting wage for this position is $10.00 per hour. The City of Goodland is an equal opportunity employer.